Muse have for a long while now been a British rock band at the forefront of alternative music, well known for their flourish and extravagant live shows that have positioned them as one of the biggest ‘arena rock’ groups around. But the band have changed a lot since their conception, and whilst they have remained one of the biggest groups around, these changes have not always translated well with fans or the wider public. 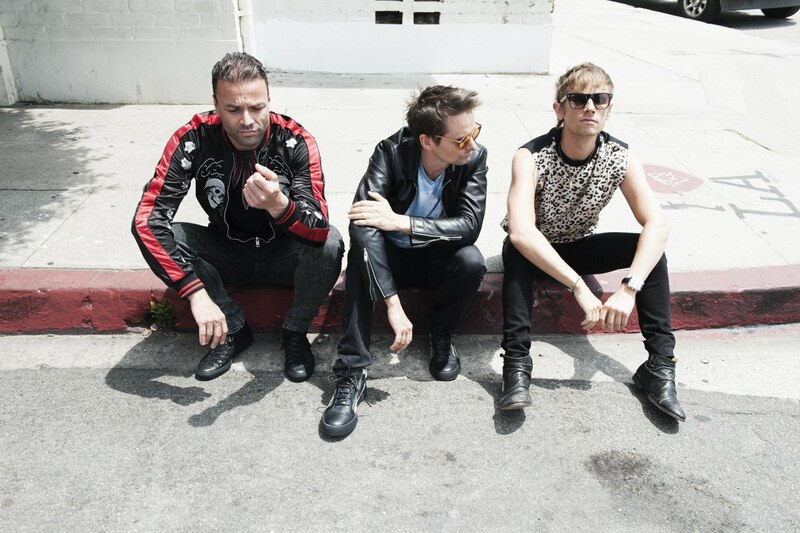 The group formed in 1994 with members Matt Bellamy, Chris Wolstenholme and Dominic Howard. Whilst their first album Showbiz was overly derivative of Radiohead, over the next few years Muse began to develop into an outfit with their own distinct sound, taking on several music influences. 2001 album Origin of Symmetry was a bombastic space rock record that spawned one of Muse’s most successful tracks in ‘Plug in Baby’. They followed-up on this in 2003 with Absolution which built on the themes of the last album. The album spawned several classic singles including ‘Time is Running Out’ and ‘Hysteria’ and remains some of the band’s best work. Only three years later the band released their most commercial success to date: Black Holes and Revelations. In this album the band began to take on electronic and progressive influences with singles like ‘Supermassive Black Hole’ and ‘Knights of Cydonia’. The 2000s were a hugely enjoyable time for the band, with experimentation that pushed the boundaries of genres. Many would consider 2009’s The Resistance a turning point in the bands career. Early single ‘Uprising’ is to this day perhaps Muse’s most well known track, but other than this the album fell flat, this time experimenting with an orchestra and symphonic elements. From here their music has only diminished in quality. The 2nd Law is a bizarre piece that jumped on the 2012 dubstep trend to produce a wildly inconsistent album and 2015’s Drones is a concept album focusing on military indoctrination and drone warfare with deluded, conspiracy filled lyrics that leaves a bad taste in the mouth. Then we come to 2018 with the bands eighth studio album, Simulation Theory – described as “vile” by Tom Brewster in his recent one-star review. So what went wrong? Whilst such an experimental design can be refreshing, in recent years it feels like Muse have been jumping on trends to produce a different sound, with The 2nd Law being the most egregious example of this. Bellamy’s lyrics have lost all subtlety in recent years as he spews whatever drivel he has been reading or watching recently. On The Resistance he had an infatuation with George Orwells’ 1984, and Drones takes obvious inspiration from Stanley Kubrick’s 1978 film Full Metal Jacket. The band’s focus on being as bombastic as possible has also come at the detriment of quality. Their songs feel phoned in and bland as they try too hard to produce arena tracks to get people singing along rather than focusing on the emotion music can elicit. For me Muse have been out of form for a while now, but a resurgence could easily be achieved with a few tweaks. Ditch the conspiracy-laden, edgy lyrics and theme of the week approach and produce a more personal rock album focusing on catchy hooks and interesting ideas over pompous over-blown production. Muse’s new album Simulation Theory is available now via Warner Music UK. Biomed student. Excessively lazy fan of all things Game of Thrones. Sometimes watches other stuff and plays video games.